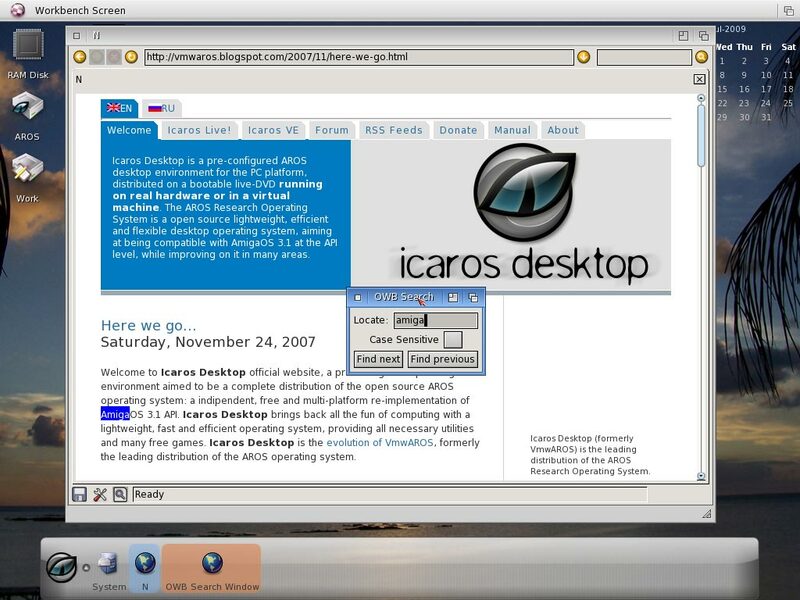 AROS port of Origyn Web Browser is a Zune-based application created by Stanislaw Szymczyk as one of the requirements of "Port an Open Source Browser To AROS" bounty. It&apos;s using OWB encapsulated in a Zune class as a rendering engine. When running OWB from a Shell you can specify an URL to open in argument. During the first run OWB is generating a font cache. This process may take some time, but it&apos;s done only once. Generated cache is stored in fonts/cache directory. To manage tabs use context menu (right mouse button) in the tabs section. To download a file use link context menu (right mouse button) and choose "Download Linked File". To bookmark a tab use tab&apos;s context menu. Bookmark menu is present in the URL string input context menu. To open a link in a background tab use middle mouse button. Bookmarks, opens the bookmark manager. Find, search for text inside the current page. Download, opens the download manager which shows the status of downloads and a allows you to cancel downloads and clear completed downloads. Preferences, allows you to configure various parts of OWB. Read more about Origyn Web Browser for AROS at the author&apos;s OWB project page. Visit AROS OWB bug-tracker to report bugs and request new features. Visit Sand-Labs for more information about OWB. 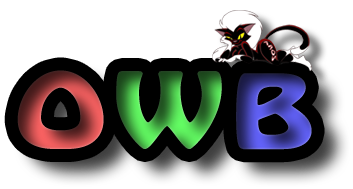 Visit power2people for more information about the browser bounty. Visit AROS user docs and AROS Wiki for more information about setting up networking in AROS.